Age spots have also the other name like solar lentigines and liver spots. Age spots are typically the result of the excessive exposure to the sun or in other words, it can be caused due to the over production of the melanin or skin pigmentation. If you are severely using the tanning lamps and tanning beds, you will surely get the age spots. The most common places of age spots are hands, face, shoulders and arms and these are vary in size. 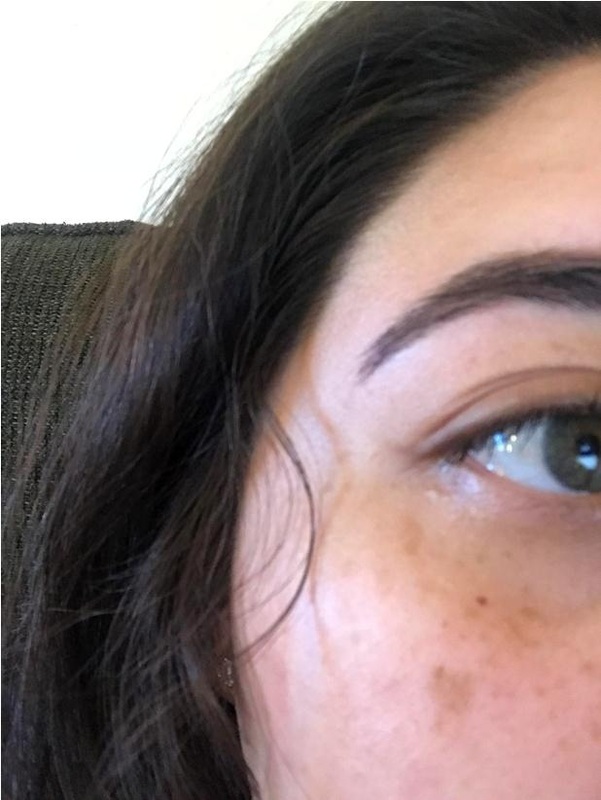 Spots appear as a flat, oval shaped areas of pigmentation and the color are might be brown or black and usually in the tanned form. As these are most common in the adults older than so these are said to be the age spots. If Youngers are spending too much exposure to the sun, they will also have the age spots problem on their skin. 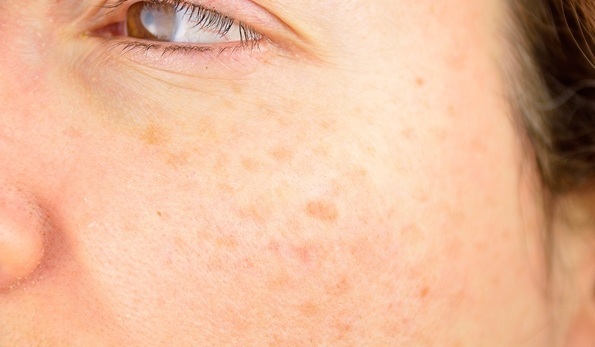 Age spots are also seen in those people with the light toned skin. Basically, the age spots cannot produce any harm to the skin but on the other way it looks so annoying for the makeup purpose or whether if you are working women so it would be an embarrassing situation in front of others. There are lots of bleaching products available in the cosmetic stores to lighten up the age spots are related problems but you can get disadvantages and side effects due to seeking some medical treatments and cosmetic products to remove them. We care for you thus we are introducing some natural home remedies which may help your age spots to be removed completely without any harm or side effects. Make sure that natural remedies work slow but give you a lifetime treatment for any problem. You need to be patient while using these remedies daily for longer period of time then you will see on your own that how magically your age spots are removed. It depends upon the intensity of the condition. Apple cider vinegar is wonderful for any kind of scars, age spots on your skin. It makes your skin free from any kind of spot along with improving the skin tone. It has alpha hydroxyl acids which work as an exfoliating agent and thus helps in lightening up the age spots and other related patches. Take equal parts of raw, unfiltered apple cider vinegar and water. Now mix them by adding a little bit of honey. Apply this mixture on the age spots and leave for at least 20 minutes. Rinse it off with cold water. Do this remedy once daily. You can also add 2 tsp of organic apple cider vinegar to 1 glass of water. Drink this solution two times daily to improve your skin. It is also effective for your overall health. Lemon contains citric acid which is good to remove the dead skin cells and break down the melanin pigment. It helps in removing the darker layers of the skin as it has the bleaching properties and reveals the new skin beneath. Lemon also has vitamin C which works as an antioxidant that protects your skin from free-radical damage. Squeeze out the fresh lemon juice and apply this on the affected skin. Sit for 10 minutes then rinse it off with warm water. Do this remedy twice daily if you have sensitive skin. You can add some rose water in the lemon juice to make it dilute. Another thing you can do is squeeze the lemon juice in a small bowl and add 3 tbsp of fine sugar. Scrub is ready, now you can apply this to exfoliate your skin and leave for 30 minutes. Rinse it off and use this 2 times a week. Aloe vera is a general ingredient which is used in many skin related problems and so it is effective for age spots as well. Aloe vera contains several compounds that are helpful in removing the dead skin cells and promote the new and healthy cells but you should be sure of using it regularly. Aloe vera also lightens the skin tone. Aloe vera has moisturizing properties that you can use it before applying foundation. It will keep your skin fresh, smooth and hydrated last longer. Extract out an aloe vera gel from the fresh aloe leaf. Rub this gel directly on the age spots. Allow it to soak onto your skin for 1 hour or more. Now rinse it off with cold water. Repeat the remedy twice a day. Castor oil is also used for a huge skin conditions, including the age spots. It has antioxidants properties which protects and lighten the skin, make your skin soft and smooth. Dab just a bit of castor oil on the spots, as it is sticky in texture so you never need a lot of it. Massage it for about 3 minutes or until the oil present in it is absorbed into the skin. Leave it for few hours then rinse it off. Repeat once in the morning and once in the night for several days. Yogurt has lactic acid which makes your skin super soft and smooth; also it helps in reducing the age spots. Lactic acid is good to remove the dead skin cells, makes it healthy and fresh. It also keeps your skin moisturized all day long. Apply some little amount of plain yogurt on the age spots directly. Allow it to dry for about 20 minutes then rinse it off with cold water. Do this remedy 3 times daily. Another option is to make a face pack with 1 tbsp of plain yogurt, 2 tbsp of ground oatmeal and 1 tsp of fresh lemon juice. Mix these ingredients well together until it becomes like a smooth paste. Now apply this face mask on the age spots and let it sit for at least 10 minutes. Rinse it off with cold water. Use this remedy for 2 to 3 times a week. Buttermilk is another dairy product which is essential for your skin health and so for the age spots too. It works similar to the yogurt because it also contains lactic acid which generally exfoliates the sun-damages skin. It also has bleaching properties which lightens up the skin tone, rejuvenate the skin. Apply plain buttermilk directly on the affected area and let it sit for 10 minutes. Rinse it off with water and repeat the process 3 times daily. Alternatively, you can mix 4 tsp of buttermilk and 2 tsp of tomato juice well together. Apply this mixture on the affected skin and allow it to dry for 10 minutes. Rinse it off with water and repeat twice daily. Vitamin E is another effective remedy for treating age spots. It has antioxidant properties which protects the skin from ultraviolet rays of the sun. Vitamin E is known to be a good moisturizer for your skin and makes it flawless. Massage vitamin E oil on the affected skin for 15 minutes two times daily. Do this remedy for few weeks to reduce the uneven skin tone. Alternatively, add 1 tsp of castor oil and 2 vitamin E capsules together. Now mix them thoroughly and apply it before going to bed. Leave it overnight and rinse it off in the next morning. Use this remedy daily. Turmeric is a herb which has been used in the ancient times for the purpose of skin care. It is an Ayurvedic medicine to treat the skin problems. It lightens up the pigmented skin and makes it free from radical damage due to having antioxidant properties. Mix 2 tsp of turmeric powder and a little bit of milk together. You can also add a little lemon juice. Apply this mixture on the affected areas and leave for 20 minutes. Tomatoes are acidic in nature and also provide bleaching effect to your skin. It is a great remedy to remove the age spots along with the reduction of blemishes and freckles. Tomatoes contain enzymes and high lycopene content which is a powerful antioxidant that lighten up the skin. Take a tomato slice and rub it on the affected areas. Allow the juice to sit on the skin for 20 minutes then rinse it off with cold water. Repeat the remedy once or twice daily. Alternatively, mix equal amounts of tomato juice and honey together. Apply this mixture on the affected skin and wait for 10 minutes. Rinse it off with cool water. Use this remedy once or twice daily. Sandalwood is also other wonderful ingredient which helps in fading out the age spots. It relieves out your skin and helps scars and age spots to heal faster. No doubt, sandalwood is found in many cosmetic products as well. Mix 2 tbsp of sandalwood powder with 2 tbsp of rose water and make a paste of it. You can also add little lemon juice. Apply this paste on the affected areas and leave it for 15 minutes or until it becomes dry completely. Try to stay indoors during the peak daytime hours while the sun rays are intense. If you need to go out, use a good sunscreen. While choosing the sunscreen, make sure it has sun protection factor (SPF) 15 and contains both UVA and UVB protection. Apply sunscreen at least 30 minutes before going out in the sun. Reapply after every two hours in case of swimming. For the further protection of your skin, try to wear clothes that cover your arms, legs properly.